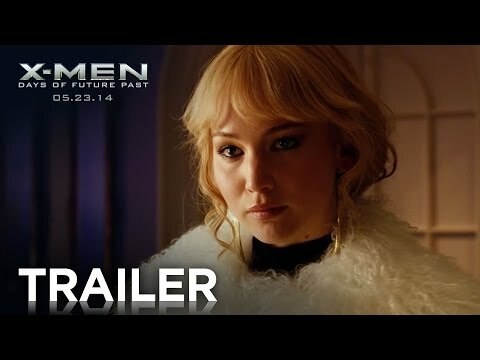 In X-Men: Days of Future Past, The X-Men send Wolverine to the past in a desperate effort to change history and prevent an event that results in doom for both humans and mutants. Starring Patrick Stewart, Ian McKellen, Hugh Jackman and directed by Bryan Singer, X-Men: Days of Future Past opens on May 23, 2014. Gambit vs Wolverine vs Jubilee in the danger room. X-Men’s cartoon series in the 90′s. X-Men Origins: Wolverine is a superhero movie based on the fictional character Wolverine. it is the prequel to the X-Men film trilogy. The film stars Hugh Jackman as Wolverine/Logan/James. Hugh Jackman as Wolverine in "X-Men Origins: Wolverine"
In 1845 James Howlett sees his dad (Peter O’Brien) killed by Victor Creed’s dad (Aaron Jeffery). Furious, James kills Victor’s dad by using bone claws which extend from his hands. Before Creed dies, he tells James that he is also his son as James and Victor escape. As they grow up, James (Hugh Jackman) and his half-brother, Victor (Liev Schreiber) are seen battling for the US in the American Civil War, World War I, World War II, and the Vietnam War. In Vietnam, Victor attacks and kills his superior and is sentenced to death together with his brother. They survive the firing squad due to their regenerative abilities and are imprisoned. William Stryker (Danny Huston) then approaches the two mutants and offers them to join his Team X, which consists of other mutants — Fred Dukes (Kevin Durand), John Wraith (will.i.am), Chris Bradley (Dominic Monaghan), as well as expert marksman David “Agent Zero” North (Daniel Henney) and blade-wielding Wade Wilson (Ryan Reynolds). The brothers join the group, and Stryker sends it to search for the source of adamantium in Nigeria. After an incident where Stryker orders the team to kill innocent civilians, Logan refuses and leaves the team. A few years later, Logan works as a logger in Canada and lives with his girlfriend Kayla Silverfox (Lynn Collins). When Victor hunts down and kills Bradley, Stryker locates Logan to warn him someone from the now-disbanded Team-X is out to kill the remaining members. Logan refuses to help and as a result, his love interest is murdered by Victor. Logan hunts down Victor for revenge but is easily defeated. Stryker offers Logan help to kill Victor by infusing Logan’s skeletal system with adamantium. After the procedure, Stryker orders to erase Logan’s mind but Wolverine hears it and escapes the premise nakedly. When an elderly couple sees Wolverine running around naked and goes into their barn for shelter, the old man enters the barn discreetly with a rifle only to end up offering Wolverine clothes, food and shelter. The next morning, the elderly couple are shot dead by Agent Zero. Wolverine flees in a motorcycle and eventually kills Agent Zero. Wolverine locates former teammates, John Wraith and Fred Dukes, seeking to learn about the whereabout of Stryker’s secret island only to find out Creed and Stryker are working together to roundup mutants and keep them in the island for experiments. Dukes reveals that a mutant named Remy LeBeau a.k.a. Gambit (Taylor Kitsch) had escaped from the island and would know the location. Wolverine learns that Team X had been tasked with capturing mutants, which was the reason why Wraith had left the group. Wolverine finds Gambit in a bar only to be blown out of the bar by Gambit’s deck of cards. Outside the building, he sees Victor who has just finished off Wraith. With his adamantium claws, Logan manages to defeat Victor but is attacked by Gambit. Victor flees realizing he can’t match Logan’s superior ability. Gambit tries to escape but Wolverine manages to pin him down and persuade Gambit to take him to Stryker’s secret island. Gambit flies his private plane won from gambling and drops Wolverine off at the location, Three Mile Island. In the lab, Wolverine confronts Stryker and learns Silverfox is still alive — she had earlier faked her death to lure Wolverine into becoming Weapon X because of her deal with Stryker who promises he would release her captive mutant sister Emma (Tahyna Tozzi) who has the ability to turn her skin into diamond. Wolverine leaves the premise disappointedly but when he hears Silverfox screams, Wolverine goes back and attack Victor and once again, easily defeats him. Silverfox convinces Wolverine to release her sister and other captive. Stryker prematurely orders Weapon XI to be activated to kill Wolverine. Weapon XI is formerly Deadpool and consists of other mutant powers, including Cyclops’ optic blast, Wolverine regenerative ability, Deadpool’s martial arts ability and Wraith’s teleportation ability and retractable adamantium blades from his arm. Wolverine orders Silverfox to bring the young mutants to safety while he stays on to fight Weapon XI. Silverfox is injured during the escape while the other mutants manage to escape in Professor Charles Xavier’s (Patrick Stewart) helicopter. When Weapon XI almost kills Wolverine, Victor appears and saves him. Together, they manage to defeat Weapon XI when Wolverine cuts off Weapon XI’s head with his adamantium claws heated with powerful optic blast. Wolverine is shot by the head by Stryker with adamantium bullets which makes him unconscious and wakes up with amnesia. Although Silverfox manages to use her power of persuasion to make Stryker walk away, she dies from bleeding. Gambit then returns to tell Wolverine that the young mutants are safe, but due to the amnesia Wolverine does not remember anything. When the cops arrive, Wolverine decides not to follow Gambit and flees the scene. Before the ending credits, Stryker is seen walking until the armies stop him and he is wanted for investigation for murdering General Munson. Overall, X-Men Origins: Wolverine is a successful X-Men film far better than the X-Men trilogy as the movie doesn’t just focus on the mutant abilities and although there are less fighting scenes, the movie has a strong storyline of the origins of Wolverine and before the formation of X-Men. Eager to wait for the movie? Now, you can satiate your hunger for the movie by playing X-Men Origins: Time Warrior Game.